Eternal Orthodox Church calendar for the 09.10 year 2017. 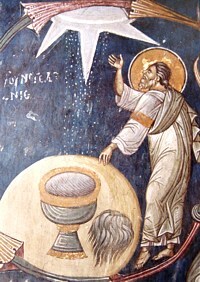 John was the son of Zebedee the fisherman and Salome the daughter of Joseph, the betrothed of the holy Mother of God. Called by the Lord Jesus, John immediately left his father and the fishing nets and followed Christ with his brother James. From that time, he was not parted from his Lord until the end. With Peter and James, he was present at the raising of Jairus"s daughter and at the Lord"s Transfiguration, and laid his head on Jesus" breast at the Last Supper. When ail the others had forsaken the crucified Lord, John staved beneath the Cross with the holy Mother of God. 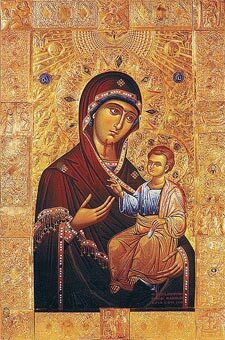 In obedience to the Lord"s wish, he was as a son to the holy Virgin Mary, caring for her and serving her, looking after her right up to her falling-asleep. 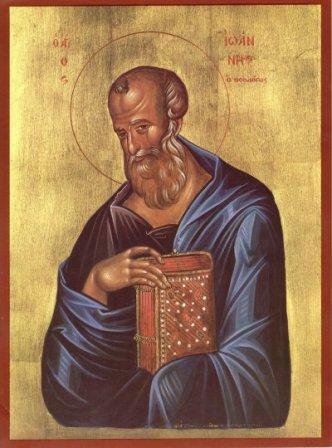 After her Dormition, John went off with his disciple Prochorus to preach the Gospel in Asia Minor, and mainly lived and worked in Ephesus. By his inspired preaching and miracles, he brought many to Christianity and undermined the foundations of paganism. The vexed pagans bound him and sent him to Rome to the Emperor Domitian. 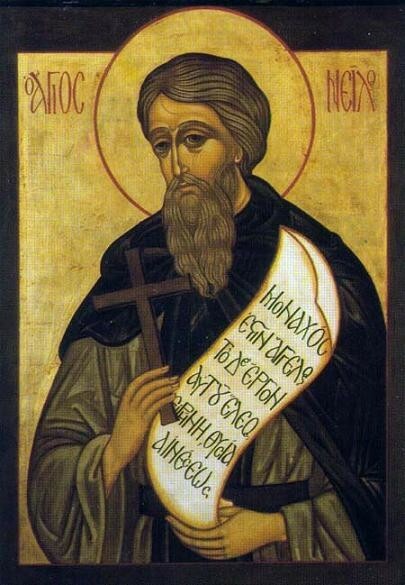 He was tortured and flogged before the Emperor, but, when he was unharmed either by the strong poison that he was given to drink or the boiling oil into which he was put, the Emperor was afraid and, thinking he was immortal, sent him into exile on the island of Patmos. On this island, St John brought many to Christianity by his words and miracles, and strengthened the Church of God. He wrote his Gospel and the Revelation there. In the time of the Emperor Nerva, who gave liberty to all the captives, John returned to Ephesus, where he lived for some time, confirming the work that he had earlier begun. He was over a hundred years old when he went to the Lord. When his disciples later opened his grave, they found that his body was not there. Every year, on May 8th, a fine, fragrant dust, endowed with healing power rose from his grave. 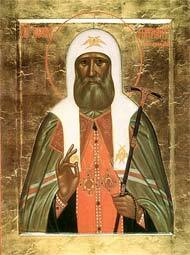 After a long and fruitful life of labour upon earth, this beloved disciple of Christ and pillar of the Church entered into the joy of his Lord, to peace and eternal rejoicing. He was born in the clan of Manasseh, and was judge after Deborah the prophetess. He saved the Israelites from the attacks of the Midianites and then ruled the Israelites for 40 years. He died in the year 1307 before Christ. For detailed information on his life refer to the book of Judges.